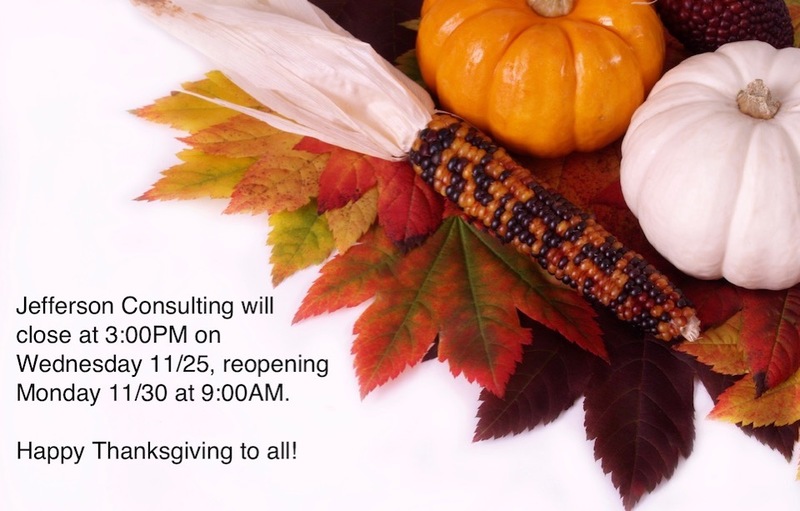 Jefferson Consulting announces closure of operations thru Wed., 10/31 due to Hurricane Sandy. Restart of operations may be delayed pending damage survey by our safety team, and status of Delaware’s State-of-Emergency declarations. Back up your data and stay safe, friends! My friend David Provine of Premier Mac in Millersville, MD just sent out an email newsletter outlining some excellent tips re: storm preparedness, and I'd like to share them with you. If you're not already backing up offsite, take a copy of your backup offsite with you this weekend. If you're already backing up offsite, don't assume that it works; please make sure you test it today! It's still a good idea to take a second copy with you. Power failures are likely this weekend; please power down any non-essential equipment now. If you choose to unplug equipment from power, be sure to also unplug any network or phone lines as well, as surges are more likely to enter through those paths. Be prepared on Monday to be able to work at home or another site, as your office may not have power or Internet service. Take copies of any important files that you'll need so that you'll be ready to work. As always, we'll be ready on Monday to help recover from any issues that may arise over the weekend. Today we fly the flag at half-mast. Jefferson Consulting shares the deep sadness of our nation as the remains of 30 service members arrive at Dover Air Force Base today. This is not the way we'd like to see Delaware get on the map. Our thoughts are with their families, and all the brave men and women who put themselves in harm's way to serve in our military.